ADA: How did the store and concept come about? SM: Alon Hassid, my business partner, brought up the whole idea. It happened as a side project to our actual job, quite organically, really. 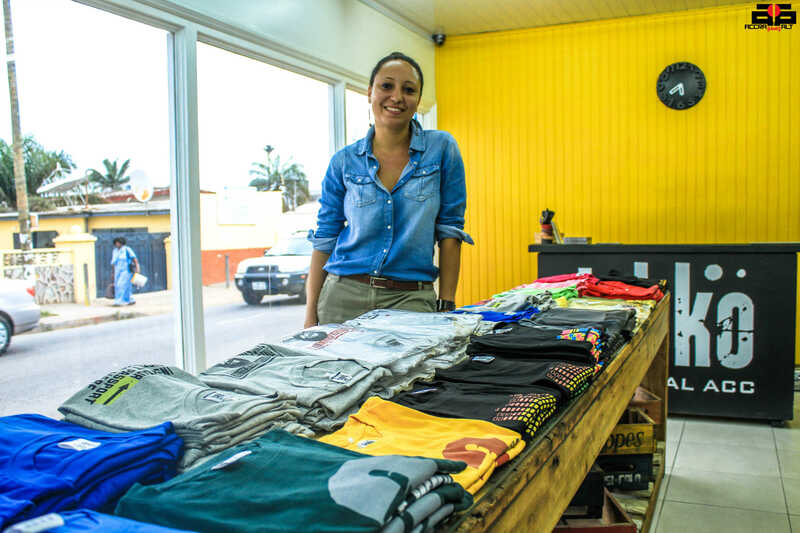 Alon is a T-shirt addict and was dying to find something authentically Ghanaian yet totally fashionable. At the time all you could really find were football jerseys and the odd tie-and-dye or hand-painted T-shirt here and there. With my experience as a designer and his experience in running retail stores of all kinds, we thought we could wing it. So far, I think we have. ADA: What is the vision of the store? 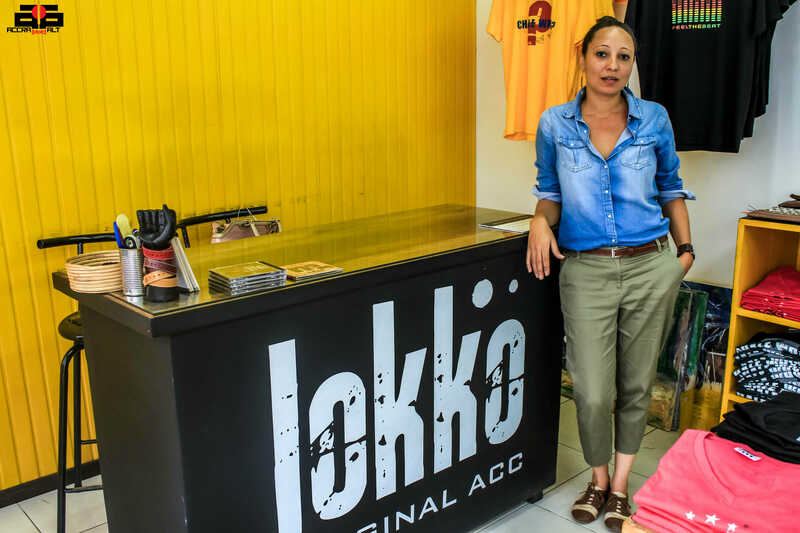 SM: Lokko’08 has evolved in the past five years. 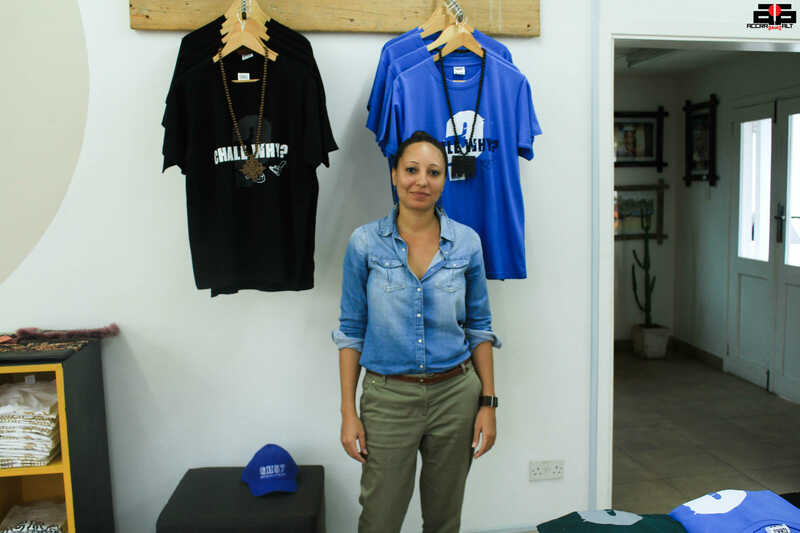 We began in 2008 exclusively as a T-shirt shop but as time went by we became increasingly aware of the palpable metamorphosis-taking place in Ghana’s urban metropolis. Many frontiers have been broken wide open with increased access to the Internet. A lot of experimentation is going on. 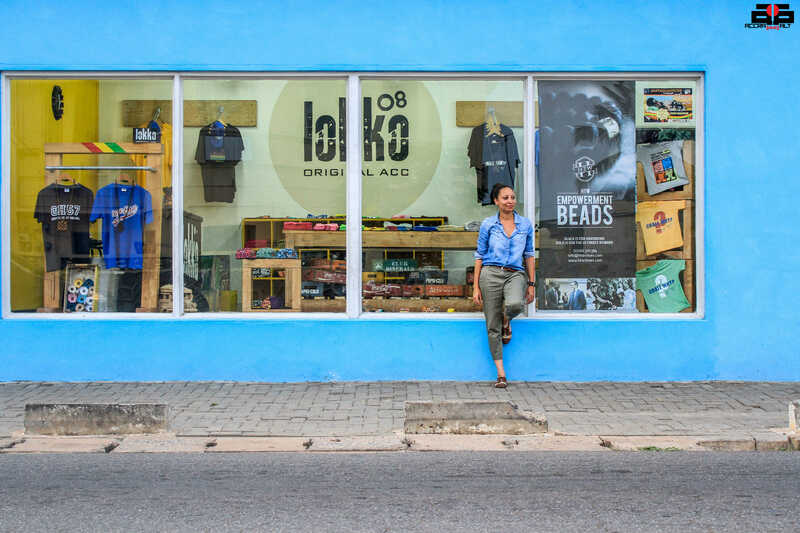 Being born smack in the middle of this global evolution, we allowed ourselves to flow with it and today we have transformed Lokko’08 into a Concept Store – a melting pot where this collective experience can be articulated. Our vision is to capture and reiterate this raw nerve in a very definite and tangible manner by showcasing various creations in our space ranging from art, music, fashion, to photography, design, and technology. We collaborate and work with many key players in Ghana, Africa and throughout the world to make this possible. We’re sharing and transferring a collection of ideas and trends, within our local context, so that the dialogue between Ghanaian individuality and global movements continues. 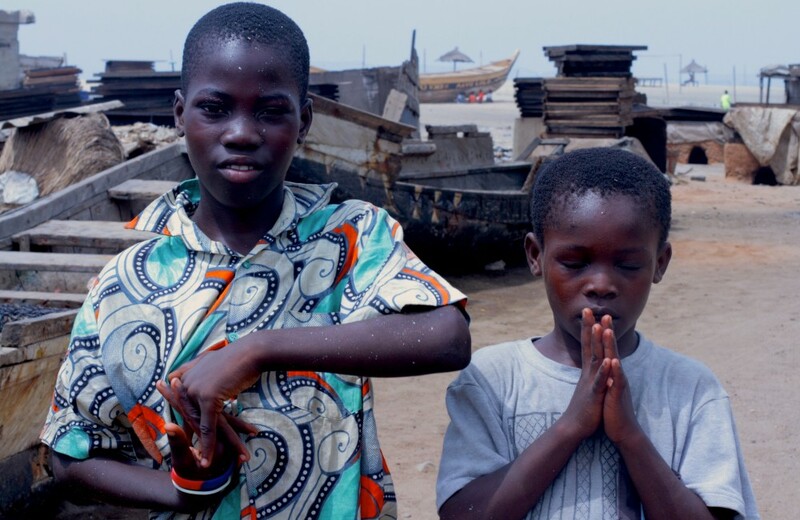 ADA: Sounds like Lokko’08 captures the story from the streets for the streets. SM: Absolutely. 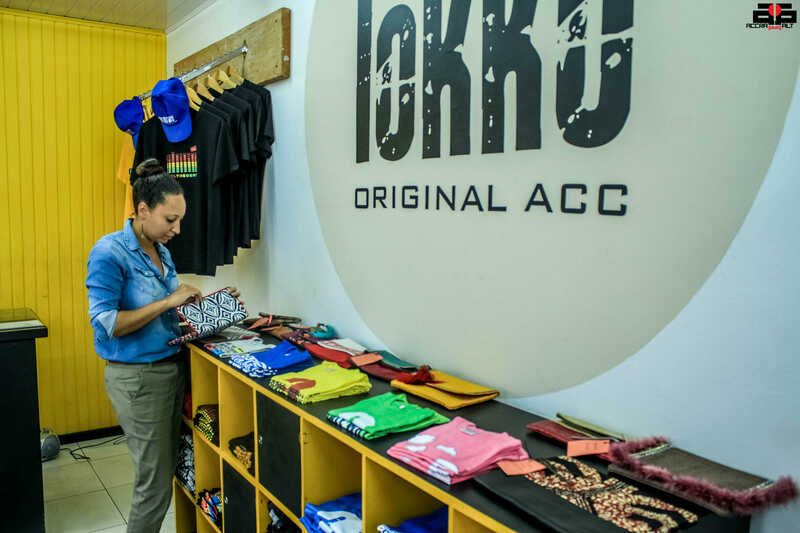 Our concept store currently stocks Lokko’08 fashion T-shirts and other items such as Heel the World [HTW] Empowerment beads & Lovechild bracelets, Clove Clothing snapbacks & necklaces from the U.K., AnaGo bag from Togo, music CDs from various artists, interior design elements, photography, paintings etc. 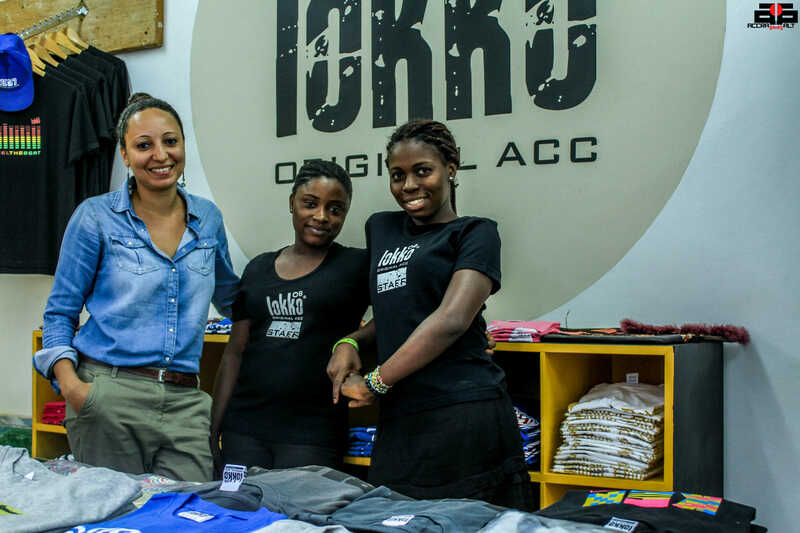 Stefania hanging with LOKKO staff. 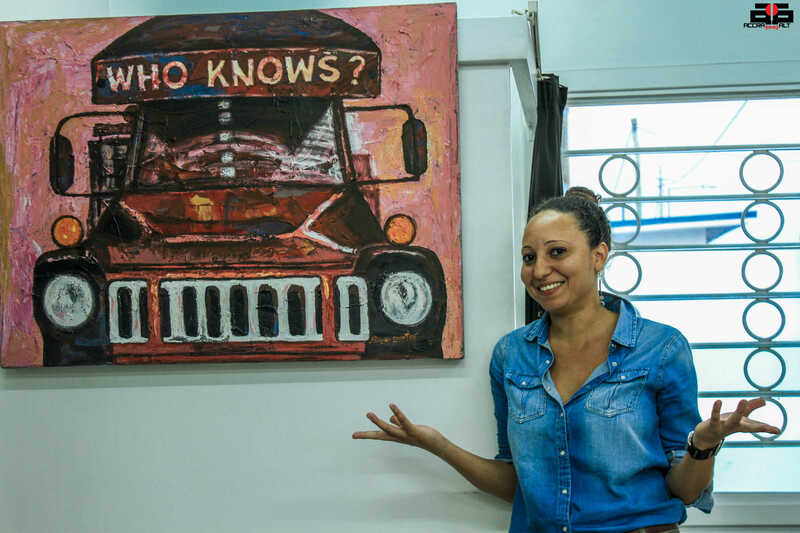 ADA: You are a distinct space in Accra because you blend history, funk and style esp. with your T-shirts. Tell us about your focus on fashion through history. 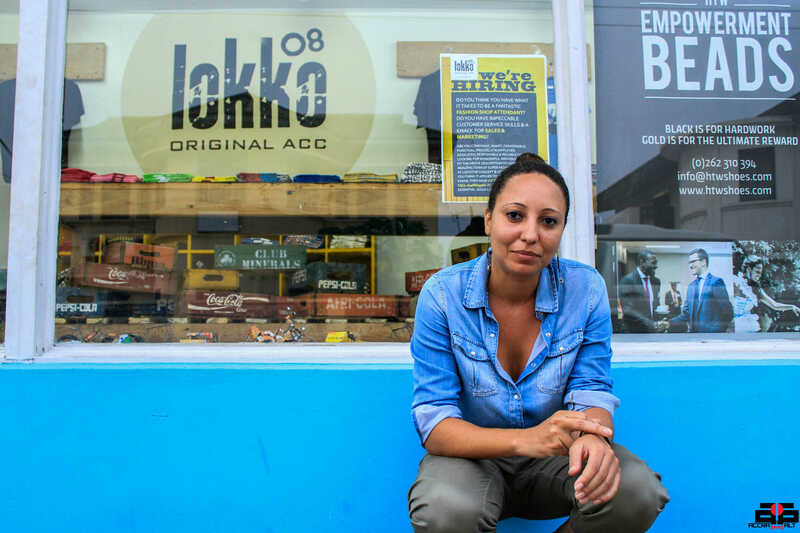 SM: Lokko’08 has a strong street style influence, not to be considered strictly in the western sense though. We pull inspiration from what surrounds us. Therefore, it’s more of a Ghanaian street style through the ages from back in the 50’s and 60’s going through my mum’s pictures and wardrobe in the 70’s and 80’s to the modern day Ghana that makes us laugh, cry, and keeps us constantly challenged. Our designs span from traditional concepts such as kente culture and Adinkra symbols, to the fun and comical, Chale Why? Enye Easy T-shirts, to hailing our national heroes such as the Azumah Nelson T-shirt. We mix the old with the new and translate it to fit today’s fashion lingo. The same concept has been applied to the store’s interior design. We embrace the fast changing times we live in but we have a steady eye on the past. History teaches us and gives us identity. It makes us nostalgic and emotional. That’s what fashion, as with most creative expressions, is about in the end – the emotions. This entry was posted in Discussion, Education, Feature Interview, Ghana, Markets, Photography, Street Style, Style, Uncategorized, Visual Art by Accradotalt. Bookmark the permalink.